Documents to be presented during the application of membership form. 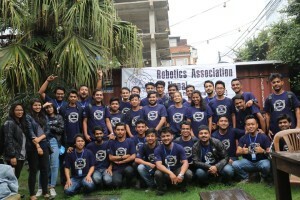 Enthusiasm in working in the field of robotics and technology. The validation of RAN membership lasts for a year. Make your Resume attractive by adding RAN’s Membership experience. Can be involved in Research and Development Project. Have to follow the constitution of RAN. Have to follow the decision made by Executive Committee. Have to take responsibility of completing task assigned on time. Short listed candidates will be called for the interview and selected accordingly.